← A Wedding Story: It all ends in a party. Tomorrow I am going to New York. One time when I was little, my parents promised that we would go en route to somewhere up east and that I could go to FAO Swartz if I kept my room clean in the meantime, which I devotedly did (as much as any kid can). Then we never went. And I have never forgotten, though they certainly have. But anyway, I am super excited to finally go to New York, even if it is only for approximately 28 hours. And, it will be in the fall. 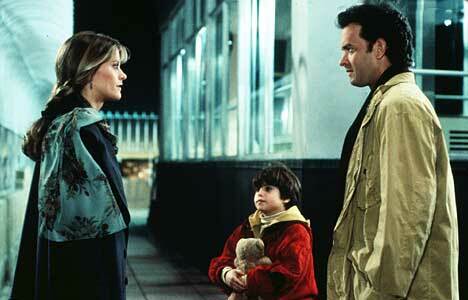 When I think of New York, I automatically think of Meg Ryan movies…is this a problem? What are the very best things about New York? This entry was posted in Uncategorized and tagged fall, movies, New York, quotations, travel, weekend fun. Bookmark the permalink. Pizza! Donut Plant! Running in Central Park! Exclamation points for New York!!!! In this order:pizza, donut, run? Hmmm… Wonder how well that would work. Abs now I will spend all day craving donuts. Thanks. You’re welcome. Also, you could stalk Taza! 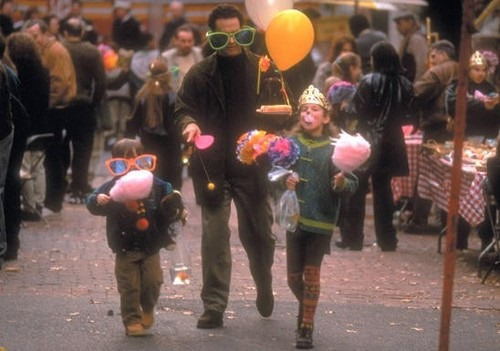 I also have never been to New York and mentions of New York *also* ALWAYS think of Meg Ryan in You’ve Got Mail! CUPCAKES! You have to go to Crumbs! Daniel swears it’s better than the Magnolia Bakery. Also, if you come across an Argo Tea, definitely go there rather than Starbuck’s if you need a drunk. Bryant Park is beautiful, right by the library, which is on 5th avenue so close to lots of fun stuff. And there is ice-skating at Rockefeller Center. Also, the weather has been absolutely perfect lately– I hope it stays that way for you! Get the Embark NYC app for subway stuff. NYCWAY and Yelp are also very helpful. And if you’re in Times Square, let me know, because I live there! Crumbs is SO much better than Magnolia. I endorse this message. Also, the ice skating at Bryant Park is better/cheaper/shorter lines than at Rockefeller. Endorsement noted. Isn’t it too early for skating? Ooh, also, if you find yourself on the Lower East Side, go to Beurre & Sel, a new cookie shop. Best cookies EVER. It’s owned by Dorie Greenspan, a friend of Julia Child’s, whose cookbooks you need to immediately purchase. I’ve been wanting to go there since you posted something about it! The cookies looked soooooo good! You’ll love it – fall is the best time to visit! What types of things are you interested in? There’s tons of great food options (both pricey and budget friendly), free museums, parks, music… I have some NYC posts on my blog as well if you need some ideas. Can’t wait to hear about your trip! Thanks- I will check those out! I’m visiting friends to do their engagement photos, so our schedule will be built around that, but I am also just dreaming big about what I hope will become a more frequent occurrence, this whole going to NYC on the weekend thing. Central Park. And Broadway shows. A broadway show would be the best!!! (Slow day at work, so I am blog-stalking you). If you can’t find affordable Broadway tickets, try the Metropolitan Opera, if you’re an opera fan! It can be much cheaper. And oh so amazing. And then, as previously mentioned and is obvious: Central Park. Carve out hours for Central Park. And central park will happen. It must. I was blessed to grow up across the river from NYC, so I was also blessed by being able to go there for school field trips and other fun trips through the years. When you have more time than it sounds like you’ll have this weekend, go to the Metropolitan Museum of Art, the Museum of Natural History, the Statue of Liberty and Ellis Island, among many other museums. Definitely go to a Broadway show if you can find good tickets, or to a concert at Avery Fisher Hall or Carnegie Hall. Robbie and I once spent a day just walking around and going to the old churches in NYC–beautiful organs, famous people buried in the adjacent cemeteries, pretty stained glass, etc. Central Park is also fun, like others have said above. The Empire State Building is cool (I’ve never been to the top…that’s on a wish list for me to do one of the times I’m back home and go into the city again), and the World Trade Center site is something I’ve been to several times, although not since the memorial has opened and the new building has gone up. Hope you have so much fun–I’m glad you get to visit! The strand definitely sounds like my kind of place! And I think that even though the weekend is rushed, we are going to squeeze in a met visit, because I just can’t handle missing it! The Met and all thing Central Park are probably my favorite. The one Broadway show I went to was also amazing. Are they still doing Newsies??? I also like just being in the city… just walking around, walking across the Brooklyn Bridge, eating good food, shopping…. have so much fun! !